So I did, and cast on a couple new projects. 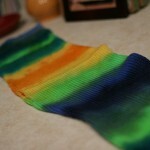 First up are the Loki socks in Bitsy Knits Sock82me. The stitch definition is great but the 8 ply yarn is a little splitty. Not the best combo for twisted stitches but I love the colors. 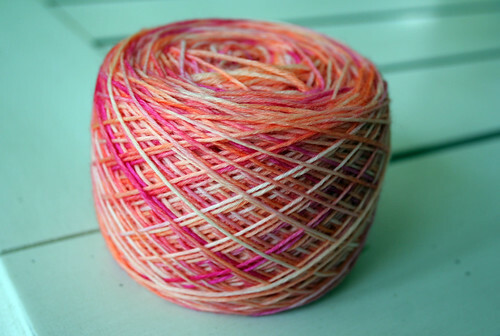 The yarn has just enough pinks in it and the oranges are a nice departure for me. And now that I’ve started the main leg pattern, the intricate stitching is a welcome change. My recent socks have all been vanilla varieties and I think it’s not been enough to keep my attention. 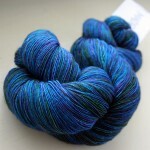 Next up is Joji’s Imagine When in Spinning Fates Lorelei in the colorway Twilight. 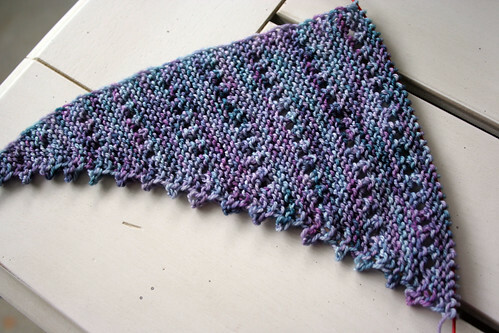 The yarn was a gift from Andi and I’m in love – purples, blues and total softness. The tidy picots add just that little bit of feminity without being too much. Plus they make it easy to track where I’m at in the repeat. 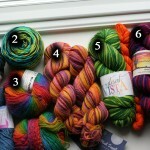 I love patterns that are self documenting and don’t require umpteen stitch markers to keep track. 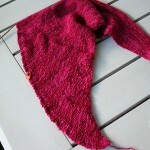 I’m close to being done with the first section and can’t wait to add in the short rows of the next section. shawls, scarves and cowls, socks, WIPs - 2014 eyelets, socks, twisted stitches. permalink. ooh! Love those works in progress. Your Imagine when is looking gorgeous!! Ooooh! 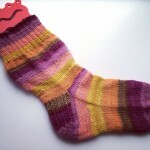 I’m in love with your sock yarn! The color is fabulous!!!! 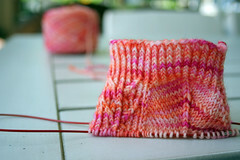 Can’t wait to see your socks finished! i’m surprised at how much i love it too! 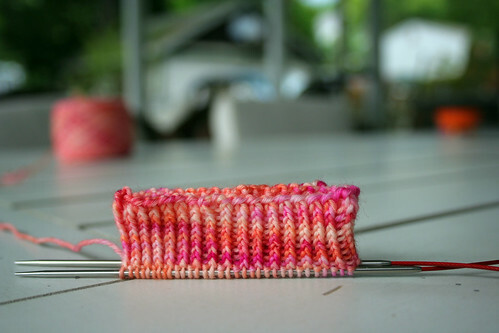 I hope your knitting mojo kicks in, because I’m looking forward to seeing those socks grow! It’s getting more and more fabulous! The color blends so well with the pattern! thanks! i feel like i got really lucky with this yarn/pattern pairing. Love ’em both, and now off to check out those patterns. Great colors, too. they’re both really nice patterns. Imagine When is something I can pickup whenever. 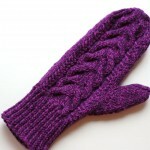 the socks are simpler too – only a total of 10 cable twists per 8 round repeat. 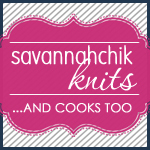 Both yarns and projects are incredibly yummy! Keep going ~ I can’t wait to see more of your progress on both.